Click the photo to see the other side. 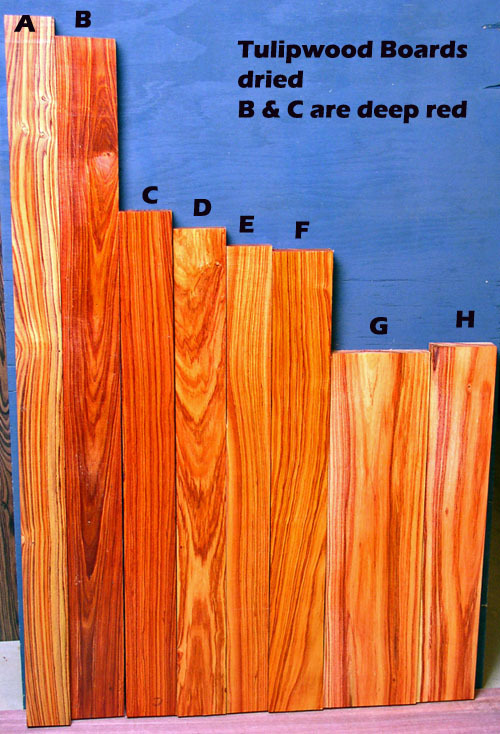 Boards A and B are Brazilian kingwood. Board B is something I haven't seen for sale in many years: a musical grade board in Bois de rose, truly rare. 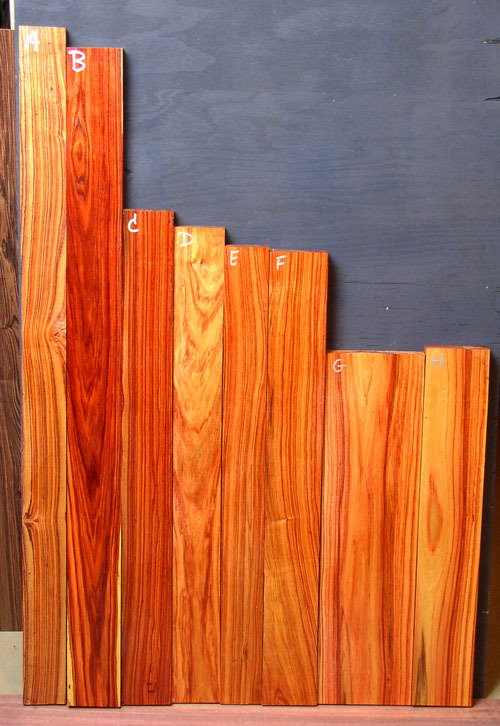 All boards are dry and free of defects. 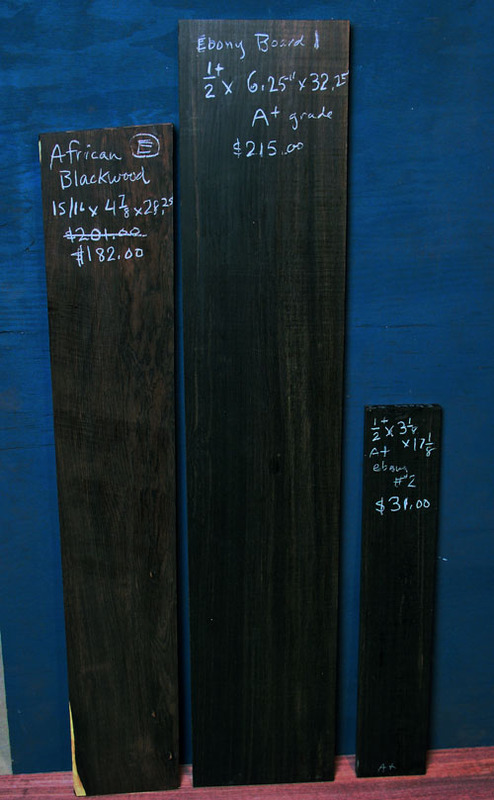 Notes: The kingwood boards show the bare wood side above. Side 2 shows the kingwood with an old clear finish, but the color under the finish will look like side 1. The bois de rose is bare wood both sides. All are completely dry and ready for use. 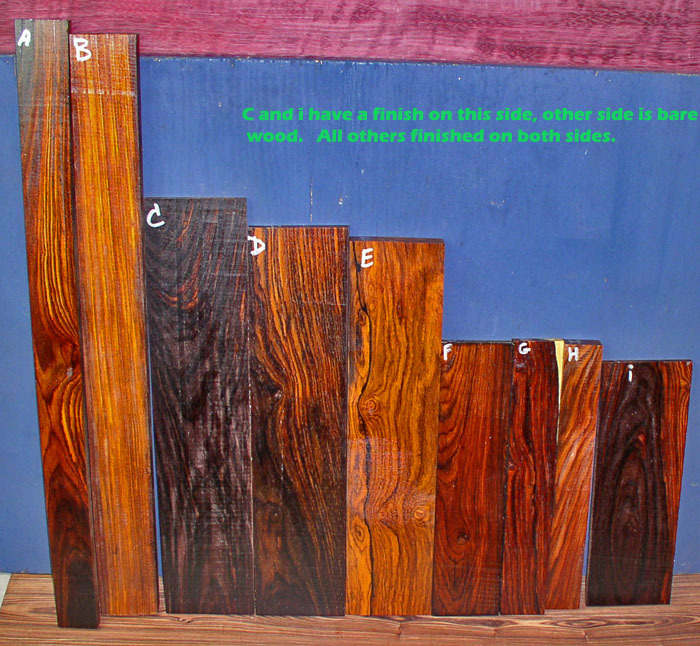 Cocobolo is very hard to get, and some are already charging prices double what you see here or more. 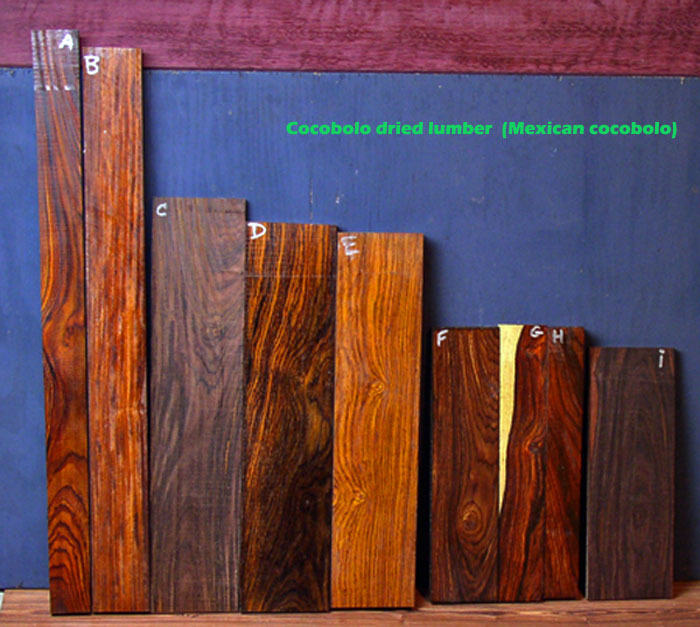 Mexican cocobolo exports seem to have stopped completely, with the only new supply coming in very tiny amounts from Guatamala. These are from Mexico, we cannot replace them once gone. Great range of colors here. The darker ones are dark purple, not black. Notes: If you order piece A and pick super saver shipping the board will be cut to 23.75 inches long. All are completely dry and ready for use. Notes: African blackwood piece E, close to instrument grade but does have several very small bark pocket type areas. The photo above shows 3 in the lower area that look like tiny brown dots.. In a piece this large, it is quite difficult to get quality like this, we have seen it only rarely and any comptetent luthier could use this as sides for an African blackwood guitar for example. Also for the blackwood understand that it looks a lot darker to my eye then the photo. I cannot see the grain or any brownish areas when I look at it, this seems to be a flash effect from the camera. 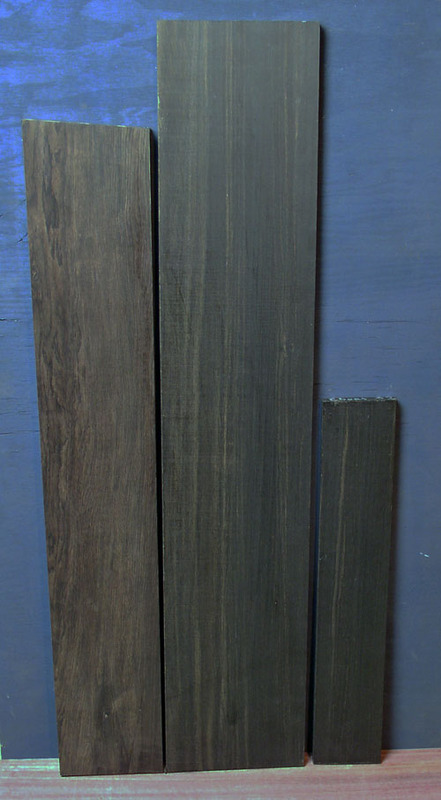 Ebony board 1: no visible defects grade of A+, shown bare wood so expect it to be darker when finished. Says below it is 1/2 inch thick, but it is maybe a 1/32 inch thicker then that. Ebony board 2: This one is almost AA grade, no defects, shown with no finish also. Slightly thicker then listed.